Here is my standard disclaimer about all things parenting related: I merely share what works for me, resonates with me, and interests me. Talking about what works for me is by no means a judgment about what works for other people, unless what works for you is abuse. Trying to figure out how to celebrate Christmas with your own kids is fraught territory, especially in the age of Pinterest and Instagram. This is especially true for people of faith who are concerned about the commercialization of our celebration of the birth of Jesus. I find myself smack in the middle of tension between my desire for a meaningful time that reminds my family of who Jesus was and why he was born an also the traditional, but rather irreligious, magic of Santa and reindeer. While we incorporate an observation of the liturgical season of Advent, a Jesse tree, and making sure to give back to others, I didn’t want to wholly ditch Santa and have my kiddos be the ones informing all their elementary school classmates that the man in the sleigh is a lie. I wanted to find a balance somewhere in between, one that involved celebrating Santa as an embodiment of God’s love and generosity to us, without actively lying to my kids or using Santa to manipulate their behavior. I am also, admittedly, kind of freaked out by the Elf on a Shelf. I read enough crit theory in my English MA program to feel that the whole thing is rather Foucaultian, a panopticon for children. My general parenting approach is not to coerce good behavior out of my children through a surveillance state or through bribery or threats. I have largely been a student of the “peaceful parent” school, though I admit I have always yelled more than I want to. 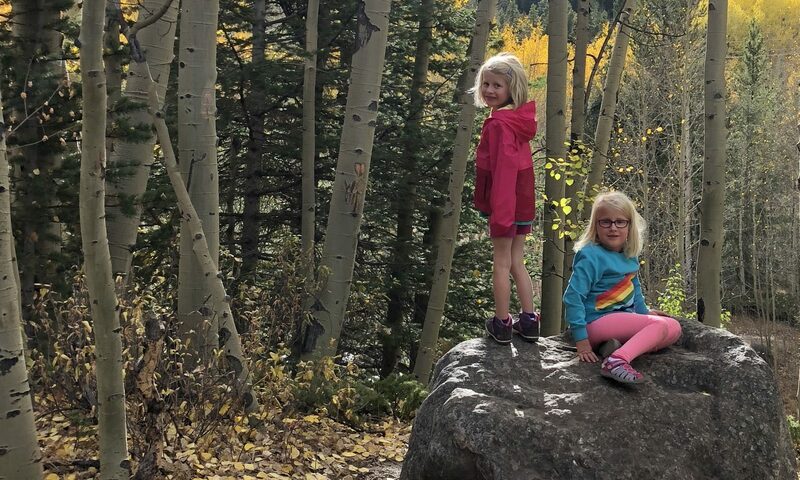 I think my kids behave best when they feel we are in a warm, loving, and cooperative partnership to have our best days together, and when missteps and misbehavior happen, it is a time for emotion coaching and learning. I just can’t find it in me to be all “SANTA IS WATCHING YOU” in order to get them to behave. But kids absorb things in our culture, and this week, my kids have been asking me, “Mom, is there such thing as a naughty list?” As I pondered my answer, and clarified my “theology of Santa,” I decided this might be worth firing up ye olde blog and writing about. My answer is this: there is no naughty list. First of all: why does Santa give presents at Christmas? Why do any of us give presents at Christmas? Santa gives because Santa (a real man and saint!) loved Jesus very much, and wanted to share that love for others. Just like God freely gives not just the gift of Jesus to the world, but all good things to all people, Santa has a spirit of love and generosity and gives to share the love of God with the world. We, and Santa, give gifts at Christmas because we believe Jesus was a great gift to the world, and because we believe God is a generous giver of gifts. And if Santa gives and loves like God gives and loves, how does God love? The God I know gives and loves unconditionally. There is nothing you can do to earn or un-earn the love and generosity of God. God lavishes love and gifts on us because of who God is, not who or how we are. Would it make sense for a Santa who gives in the spirit of God’s unconditional love to be doing it conditionally? If I believe in a God who does not keep a record of my wrongs but pours out forgiveness, then how could I teach my children about a Santa who keeps a naughty list? I never want my kids to doubt for a minute that they are worthy of love and acceptance and belonging. People who believe they are loved and accepted act in loving ways toward others. People who think they are constantly working against a cosmic balance sheet of naughty or nice live in fear and strive to prove their worthiness. Santa is pretend. A fun myth. Good fun. But the stories we tell and the myths we share shape the way we see the world, Christmas, and God. On Christmas morning Santa will fill my kids’ stockings (in our house, Santa only does the stockings) because he is sharing the love of God with them, a love that in turn should inspire us to love and give to others. Last year was a bad tornado season for those of us who live in Tornado Alley. Bad enough that we spent several nights in our “safe space” waiting for the sirens and the winds to stop. A friend had a tornado knock a tree onto her house. Other friends survived the tornadoes that blew through Birmingham and Tuscaloosa. It freaked me out enough that I finally made a FEMA-recommended tornado kit to keep in my safe space, which is small comfort when I know that if a tornado really does hit my house, no waterproof bag full of food and supplies can save me. Tornadoes are scary. They are unpredictable. They are deadly. And climate change seems to be making them worse. This year has already seen several tornadoes. People have died. Communities have been destroyed. Others are just now starting to pick up the pieces. And John Piper, not even a week after this latest bout of deadly tornadoes, would like to let those survivors know that God did this. Because that’s what the hurting and grieving need to hear right now, right? Now, let me say right now that I believe in a powerful God who could cause tornadoes if God wanted to. But I also believe that sending these storms wouldn’t be in keeping with the nature of the God I have come to know and love. I believe that the best way to learn about the nature of God is through the Person of Jesus Christ (as Brian McLaren called it at a talk I attended, you could say my hermeneutic is Jesus). And the God revealed through the person of Jesus is not someone who capriciously sends tornadoes that pick up babies and carry them for miles and kill them. The God revealed in Jesus is someone who wakes up in a boat in the middle of the storm and calms it. The God revealed in Jesus is someone who raises the dead and heals the sick and comforts the grieving and gets to know the outcast. God isn’t someone who breaks and destroys, but someone on a mission of healing and wholeness and reconciliation and redemption. In the wake of deadly tornadoes, God is on the side of the folks wiping away tears and giving hugs and listening to the grieving and picking up the pieces. God’s drawing nearer to us through acts of love and healing. At least that’s what I believe. Yes, we live in a world that does not work the way God designed it to. There were no deadly tornadoes, no death at all in fact, in God’s original plan. But all of creation was given the ability to turn from that design, and we did, and here we are. But God isn’t smiting us. God is working to fix it, and God invites us to be a part of the healing. At least that’s what I believe. I’m praying for the people in Indiana and Kentucky who are dealing with devastation right now. I want them to know that God is on their side. This is part III of a series of posts on the Beatitudes. Check out parts I and II if you missed them. We’ve now reached “Blessed are those who hunger and thirst for righteousness, for they will be filled.” I have traditionally heard this preached as “God loves the goody two shoes,” as if it says “Blessed are those who want to be good little Christians all of the time.” The problem with this reading is that this is not a light yoke or an easy burden. Those who want to be good little Jews all the time would be the Pharisees. This is not our Jesus. He didn’t go around recruiting the goody-two-shoes. He picked the folks who don’t have it all together. It would not be good news. So there must be another way to read this. To me, righteousness is when things go the way God planned and designed them to. When we exist in right relationship to God, to each other, and to all of creation. Some folks call this right relationship God’s “shalom” which means peace. To hunger and thirst are downright visceral feelings. To me, to hunger and thirst for righteousness is like that sick at your stomach feeling you get when you encounter something that is just so not right with the world. Something that is so clearly not God’s plan for the world. To experience the tension between what God created the world to be, and what it is like right now. But in that tension, in that lack, in that fallenness, in our frustration, and heartbreak, and longing for things to be made right, God is with us. God’s sick at God’s stomach too. God’s heart is broken too. God longs for things to be made right too. This verse in some ways reminded me of the Japanese earthquake. Though some like John Piper might claim that God caused the earthquakes in order to teach us a lesson or send us a message, ours is a God who hungers and thirsts for a world in which these things don’t happen. Not a God who causes these things to happen. God is with us when horrible things about the world break our hearts. Not when we get them all fixed, but when we struggle, when we wonder, when we question, when we feel the disconnect between the way things are and the way they should be. This is great news, because it’s easy for bleeding hearts like me to get overwhelmed and feel hopeless and powerless because we can’t fix it all or even do something about it all. But God is with us in that place. God can handle it when we feel like Habakkuk (Ch. 1): “How long, LORD, must I call for help, but you do not listen? Or cry out to you, ‘Violence!’ but you do not save? Why do you make me look at injustice? Why do you tolerate wrongdoing? Destruction and violence are before me; there is strife, and conflict abounds.” God can handle our anger, can handle our sorrow, can handle our concern. In fact, God is with us in that feeling. To me, that is good news. God is also with us when we move from tension, anger, and sorrow into action. “Blessed are the merciful, for they will be shown mercy.” To me, this is where the Beatitudes begin to move from conditions (mourning, poverty of spirit, hunger and thirst) to action. To be merciful is to have compassion for another and to be moved to action to change that situation or express love and care. I don’t have much to say about this particular Beatitude, because it seems fairly straightforward, but I will point out that it seems rather interesting that Jesus seems to be advocating a salvation based on works if we look at this line alone. Do mercy, get mercy. This is Part 2 of a week-long series about Jesus and gender equality. If you missed Part 1, check it out first. Before we can understand just how radically inclusive Jesus was for his time, we have to understand just how invisible women were in his culture. Think about one of the most famous stories of Jesus: “Jesus feeds the five thousand.” We all know it—Jesus had been teaching a huge crowd, and dinnertime comes, and Jesus miraculously multiples five loaves of bread and two fish and feeds the whole bunch with leftovers beside. Except that it wasn’t 5,000 people. It was “about five thousand men, besides women and children” (Matthew 14:21). At the time of Jesus, women literally did not count. Even though it would be a much cooler story to say “Jesus feeds the twelve thousand” or whatever, the writer of Matthew only counts the men. From my research, I’ve decided we can basically imagine Jesus in Saudi Arabia. Women were veiled and kept segregated from men as much as possible. They were controlled by their fathers until that control was transferred to their husbands. It was very rare for them to control property– basically they’d have to have no brothers in order to inherit from their fathers, and then they’d have to be widowed with no male children in order to control the inheritance themselves. Men and women were not supposed to talk to one another in public. From the Mishnah (the oral law): “Talk not with womankind. The sages going back to Moses said this of a man’s own wife, how much more of his fellow’s wife. Hence the sages have said: He that talks much with womankind brings evil upon himself and neglects the study of the law and at the last will inherit Gehenna.” (Gehenna is another word for hell.) It was even debated as to whether or not a man should instruct his daughter in the Law (the Torah), and women were not obligated to follow the laws regarding calendar feasts such as Passover, Pentecost, and Tabernacles—in other words, women were excluded from the heart of religious life, from the most important observances. And yet, in this context in which women were marginalized, subordinated, and excluded, Jesus seems to notice and reach out to them everywhere he goes. 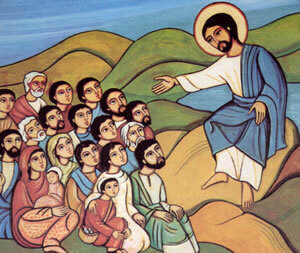 Often to the consternation of his own disciples, he insists on treating them with dignity and kindness, seeing them as whole persons, first and foremost. My first major point is: Jesus affirmed women as people. Meanwhile, the woman goes back to her village and tells everyone about her encounter with Jesus. 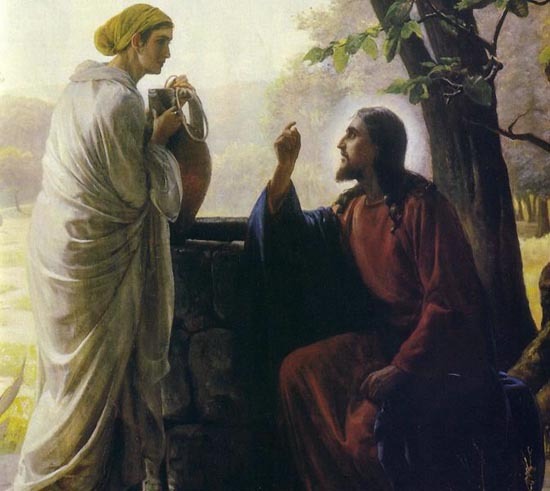 John 14:39 says “Many of the Samaritans believed in him because of the woman’s testimony, ‘He told me everything I ever did.’” As I’ll mention again later, at this time, women were considered such unreliable witnesses, they were not even permitted to testify in court, and yet Jesus chooses this woman, a sinner at that, to be the one to share the gospel with her entire town. He broke cultural boundaries, to the shock of his own disciples, in order to use a woman as his evangelist, the first evangelist mentioned in John’s gospel. Next we’ll look at Mark 14:1-9. An unknown woman comes to Simon the Leper’s house where Jesus is having dinner and begins to anoint his head with very expensive perfume. While all the other men think Jesus should rebuke her, he welcomes her act of devotion, and calls her a hero of the faith: “Truly I tell you, wherever the gospel is preached throughout the world, what she has done will also be told, in memory of her.” (v. 9) Why anointing? Anointing was performed for a number of reasons– a host would anoint guests to refresh them, dead bodies were anointed to prepare them for burial, sick people were anointed as a cure, and kings were anointed as a mark of their kingship. In our last look at Jesus affirming the worth of women as whole persons, we’ll examine Luke 13:10-17: Jesus heals a crippled woman on the Sabbath, to the Pharisees’ dismay. From Woman in the World of Jesus: “[This story] may well serve to dramatize what Jesus more than any other has done for woman. He saw a woman bent over and unable to stand erect. He freed her from her infirmity, enabling her to stand up right. This story has to do with a physical restoration, but it may well point to something far more significant than the immediate reference. In a real sense, Jesus has enabled woman to stand up with a proper sense of dignity, freedom, and worth. It is striking that Jesus referred to this woman as ‘a daughter of Abraham’ (v. 16). Elsewhere we hear of ‘children of Abraham’, ‘seed of Abraham’, and ‘sons of Abraham’, but here only in the New Testament do we hear of ‘a daughter of Abraham.’ Jesus not only enabled the woman to stand erect, but he spoke of her as though she belonged to the family of Abraham, just as did the ‘sons’ of Abraham.” (106) Even his language with her is unusually inclusive, adding her, as a woman, to a tradition, an understanding of our relationship to God, that had prior to that point been exclusive of women. This is, obviously, not an exhaustive account of Jesus’ interactions with women. I’m leaving out the woman healed of the hemorrhage, to name a major example, but also many passing interactions in which Jesus took notice of women, reached out to them (often against the disciples’ protests), healed them, and sent them on their way as whole persons worthy of dignity and kindness. In this way, he was a radical for his time, transgressing boundaries that kept women separate and subordinate in order to be inclusive and compassionate. Come back tomorrow, when I’ll discuss Jesus’ more intimate relationships with the women who were his close and beloved friends. *Woman in the World of Jesus, by Evelyn & Frank Stagg. As I was cleaning my house Sunday morning, sweeping floors, vacuuming up dog hair, doing loads of laundry, unloading dishes, dusting, I was catching up on listening to several of my favorite podcasts. In particular, I listened to an episode of “This American Life” called “This I Used to Believe.” It’s a take-off from the NPR series “This I believe” about people who used to believe strongly in something, but no longer do so. 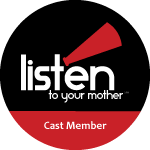 You can listen to this episode at this website. The part that made me hit pause, walk away from my chores, and sit down to blog was the second segment of the show called “Team Spirit in the Sky”. It was about a woman who saw a story on the news about a Texas football coach (I can’t help but picture Coach Taylor from “Friday Night Lights”) from a Christian school who touched the lives of an opposing team from a juvenile lock-up by having fans from HIS team learn their opponents’ names, cheer for them, form “spirit lines” for them, and root for them when his team played them. For many of the lock-up’s players, it was a unique experience to finally be rooted for in any sense of the word, and for the coach, a chance to live out in some small way the biblical idea of loving one’s enemies. The woman telling the “This I Used to Believe” story was a woman wrote to the coach after seeing the news story to tell him that though she was a lapsed Catholic who became an agnostic following the death of a close friend to cancer, she is glad that he is living out an authentic Christian faith for his players and everyone else in his community. And at first, the coach responds, and I, the listener was thinking, “YEAH! This guy is getting it right!” The coach says he feels that God is speaking to him about this woman who has emailed him, and they begin a correspondence. She even agrees to talk on the phone with him, intrigued that God has been waking him up many nights in a row, bothering him about what he needs to say to this woman who has lost her faith because of one of the most classic questions in theology: why do bad things happen to good people?